Most people know the image before the name, and nearly everyone who has a travel-inspired Pinterest board has pinned an image of this incredible lake system in Northern Croatia. 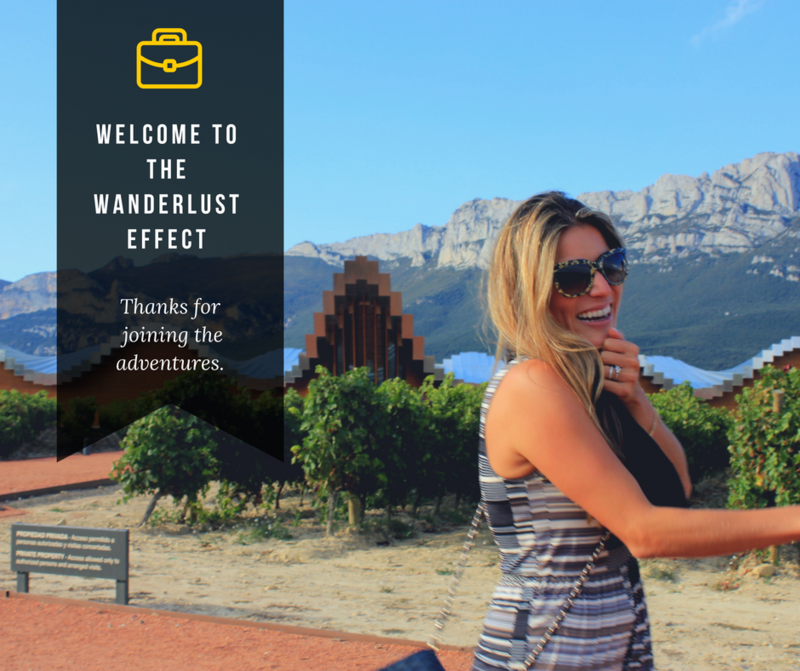 The UNESCO World Heritage Site is a spectacular locale which draws tourists from around the world, and in September we were two of the many visitors that trickle in to explore for the day. While the lakes actually only account for about 1% of the park’s total area, they’re the primary draw for visitors to Plitvice. We started in Split, where we had spent two days exploring, and rented a car with Sixt Car Rental so we could zip up through Northern Croatia and Slovenia. For those doing the same, plan on between three and four hours for your drive, and be sure to opt for the GPS. Believe me, it’s always worth it. We also arranged for a wifi hotspot, which was a great addition for helping to research destinations, discover nearby restaurants, etc. while we were on the go. While on the motorway, you’ll see signs to Plitvička Jezera, the local moniker for Plitvice Lakes National Park. For independent travelers, driving really is the best way to reach the park. Rentals are generally affordable in Croatia, and allow the flexibility to explore other parts of the country at leisure. Organized bus tours from Zadar, Zagreb, Split and other hubs are also available for those that prefer a group setting. If you’re leaving from Zagreb, there are public buses that will get you to Plitvice (about two and a half hours), though I’m not sure where they drop off in relation to the park entrance. We departed Split around 8:30AM and were able to pull into the parking lot of the national park, allowing us the entire afternoon to explore. You can choose either Entrance 1 or Entrance 2; we chose to park at Entrance 2, based on what we had heard about it being less crowded. Parking was simple, even at midday, and the walk to the actual park entrance was quick. Entry fees vary by season, but if you’re visiting in summer or fall, plan on spending between 110 and 180 kuna, between $15 and $25 per person. Our entry fee granted us a ticket, but no map (except for a little overview map that’s printed on the ticket). Maps with viable routes are available for purchase at stands for about $3 each. Buy the map. Yes, it’s kind of ridiculous that it’s not included with the entry fee, but you’ll appreciate what you’re seeing a lot more if you can reference the map as you make your way through your route. It’ll give you some context as to the size of the lake you’re seeing and where it is in within the scope of the park. When you enter the park, you’ll see a sign that shows the entirety of the park along with 9 different routes that visitors can take depending on available time plus areas of focus. Each route illustration shows a general overview of the area covered, with approximate time needed to complete each. With about 6 hours to discover the park, we opted for the H Route, one of the more comprehensive routes, slated to take between 4 and 6 hours, covering upwards of 6 miles. For those with more time, Route K is the most comprehensive, and is slated to take approximately 6 – 8 hours to complete. For reference, we were moving at a decent pace, but took the time to stop for photos and take in the scenery. We completed the circuit in a little under 5 hours, with time to stop for lunch. The lakes are divided into two sections: the Upper Lakes and Lower Lakes. You’ll discover most of the park on foot, but there is a tram system in place to move visitors up through the park from the lower area to the upper area and vice versa. The lower stop, ST1 continues on to ST2 and then finally on to ST3, the stop for the upper lakes. Your ticket includes access to the tram service and also includes a ride aboard a ferry that moves visitors across the lake. If you’re opting for Route H, you’ll start at the upper falls and work your way down on foot. You’ll see signs on the route helping guide you in the direction of your chosen hike to make sure you’re not missing anything along the way! From our experience, the Upper Lakes brought a bit more serenity; long footpaths that made their way over large lakes, and generally fewer people. As you meander through the park, each lake is signed with an image, and waterfalls show details on the height of the fall that you’re seeing. There are photo ops around every turn, and it’s tempting to explore the entire park through the confines of a lens, but force yourself to stop for a few moments to really take it in. The emerald-tinged water, the never-ending forested greenery, water bursting from rock faces; it’s next-level beauty. We were fortunate with our timing. We visited on a perfect day in late-September which meant there were fewer tourists than mid-summer (though there were still many tourists), and we were lucky enough to be there on a sunny day sandwiched between two rainy days. Timing really does make a difference, and it’s not always in your control, but sunshine definitely brings life to the landscape. We took the boat from the Upper Lakes to the Lower Lakes to give us the chance to experience both modes of transport. We hopped on just as the boat was leaving so didn’t have our choice of seats. If you’re planning it right, try to arrive to the departure platform early enough to get a seat on the periphery with a view. It’s a great way to watch the world pass by, plus the perfect vantage point for photos. First and foremost, be patient and expect substantial tourism. We were able to break away at many points in our day, but there were instances that we were caught behind tour groups that were a hundred people deep. We also had a couple of instances where we were behind visitors that had mobility issues (one man was using a walker through the park, which is probably ill-advised). Know going in that you’re going to be one of many tourists taking in this spectacular place and arm yourself with a great deal of patience to be able to enjoy the environment unhurried. Building off of the above: if you’re able, go early or on the flip side, go in later in the afternoon to avoid the height of the tour group hours. We were visiting independently, but many people do visit Plitvice as part of a tour group on day trips from Zagreb, Split, and Zadar. If you’re able to head into the park when it opens, you’ll avoid being confronted with extra heavy tourism in part. Later in the afternoon we noticed that the tour groups and field trips thinned slightly. 3. Bring food. There are rest stops throughout the park where you can purchase food and water, but you really don’t want the food that they’re serving up. It’s downright awful: pre-packaged sandwiches that are mostly made up of cold, soggy bread; plus a cafeteria-style line serving up fries and burgers. For vegetarians, options are extremely limited unless you’re interested in a steady diet of French fries during the day. You’ll be in the park for a number of hours so having some snacks to keep your hunger at bay is key. It would even be worth bringing your own sandwiches in so you could stop and enjoy a picnic with a view! 4. Wear secure footwear. I debated heavily on footwear, wondering if I could just wear sandals during our day at the park. I saw many women who were wearing flat sandals and seemed to be perfectly fine with that. There were stairs throughout the park, some inclines + declines, and a bit of gravelly terrain. It’s not a mountain climbing expedition, and generally speaking it’s an accessible day of hiking. Honestly, you’d be okay in sandals with a well cushioned bottom. That being said, there’s a great deal of walking when you make your way through the park. We racked up somewhere near 20,000 steps during our day visiting Plitvice and I was glad that I wore tennis shoes so I didn’t have to think about my footing as we navigated the terrain. Unless you have really secure sandals that you’re okay with potentially scuffing a bit, I’d opt for a close toed comfy athletic shoe. 5. Spend the night at Plitvice. Give yourself at least a night near Plitvice, whether that’s the night before a day of exploring or the night after a day of exploring. After a day out in the park, it was wonderful to pop over to our hotel, just a couple of miles away, where we could clean up and get comfortable for the evening. If you’re someone who wants to get to the park early, plan on overnighting the night before so you can head in when the park opens and before all of the crowds descend on the place. 6. Prep your camera. This is a given, right? Well, just be conscious of it before you head to Plitvice! It’s a photo haven, with gorgeous snapshots around every turn, especially when the weather is at its best. Make sure your camera is charged and for those that are particularly snap happy, consider bringing a back up SD card in case you run out of space. The same goes with your phone! If you’re one that opts for photos on your phone, make sure you have space and ample charge, and consider bringing a portable charger, a must for me on any trip. There are a number of cute boutique properties around Plitvice Lakes, and we opted for Plitvice Miric Inn, a family-run property that was well located with comfortable rooms, an incredible dinner (and great breakfast), and a friendly staff. It was a continued breath of fresh air after our day in the park, and couldn’t have been better for what we were looking for. The area around Plitvice is quaint, so expect small B&Bs and inns vs. mega-resorts and chains. Isn’t that part of the charm that you’re seeking, anyhow? secret spots for photo ops?